Magnitude is a marketing and advertising company with offices in Tucson, Phoenix, and Los Angeles, California. We work with select partners to grow online sales channels through strategic marketing initiatives. Furthermore, we consult with hundreds of Tucson based brands on email marketing, review marketing, e-commerce, and abandoned cart recapture. What is Abandoned Cart Recapture? Every time a user scrolls through your online store, there is a chance that he or she will make a purchase. However, there is also a chance that this person will find an item they like, add it to their cart, and then leave your web site. Perhaps, this person was only browsing and didn’t have a serious intention to buy, or maybe a distraction prevented him or her from making a purchase. All in all, your potential customer left, and now you have an abandoned cart situation. Of course, many customers choose products and abandon them at a physical store as well if they change their mind. Nevertheless, the number of users leaving their carts is as high as 69%. 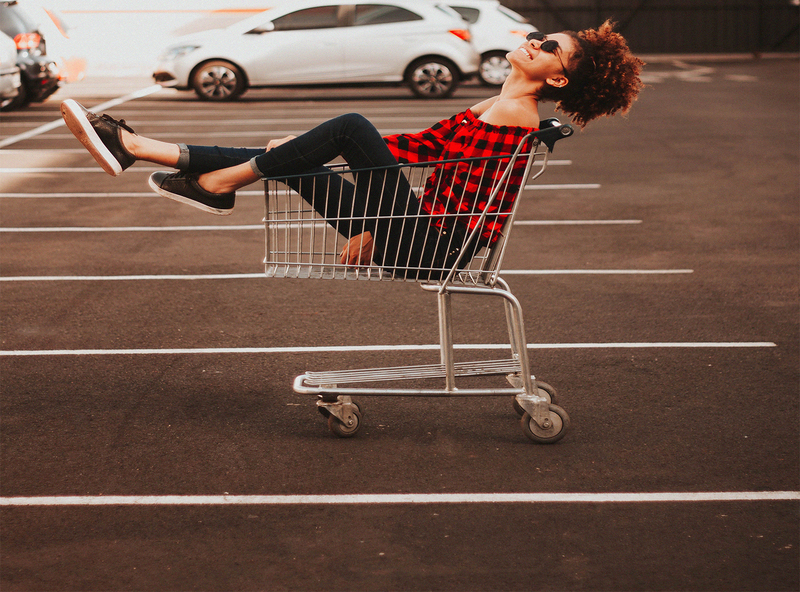 ” The amount of lost sales because of abandoned shopping carts is enormous, especially on mobile devices, and it’s a recurring problem that marketers have to solve. As a result, brands are looking for solutions to the problem using email marketing and social media strategies. When cart abandonment happens, that doesn’t mean the user is not going to return to your store or that he or she will forget about your product. However, things like that may happen, and to prevent them, you’ll need to employ strategies to remind your visitors about then items they left in the cart. Here are a few tips on how you can do that. It’s a good idea to send an email to the user who abandoned his or her cart. However, a better approach will be to develop a series of emails to remind your visitor about their cart. For example, send your first email an hour after the cart was abandoned, then the next one four hours later, then 24 hours later, and so on, until the final email. From so many tools available for retargeting campaigns, social media ads are probably the easiest to use. Try a service like Facebook custom audiences or Facebook look-a-like audiences to create customized ads targeting your existing buyers or similar profiles. This way, your loyal customers will want to come back to your business and repurchase your products.. If you first one or two abandonment emails did not result in any action from your visitor, it is time to make an offer that will change their mind. For example, suggest that if they buy the product they were looking for, they can get 50% off on any item in the store, or offer free shipping, or any other special discount. The visitors will see that you care about them and would want to come back to your brand. Why should we help you with abandoned cart recapture? Abandoned carts create a persistent obstacle for online retailers. With the right tools and expertise, you can improve your bottom line. That’s why Magnitude is here to help your brand. Firstly, we believe that to thrive in mobile based and social commerce companies must adapt and iterate quickly. Moreover, we understand the urgency of now and pride ourselves on rapid execution and adaptation. Contact us today and let’s talk about how we can help your company grow. If you would like to learn more about abandoned cart recapture, check out these articles.